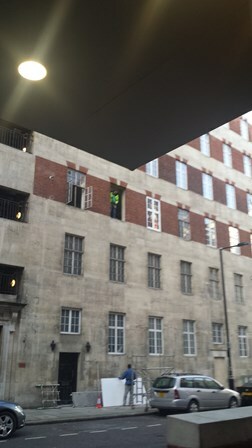 Ideal Glazing (Euro) Ltd. has been fined £36,000 after carrying out work in the West End of London with no measures to prevent the workers falling eight metres and after dropping part of a window onto the public area below. A scaffolding firm has been fined for dangerous scaffold installations at sites in Wantage and Oxford. Workers and passing members of the public alike were placed at risk because of faults with the structures, which included missing ties, bracing and vehicle impact protection. A scaffolding firm has been ordered to pay more than £100,000 in fines and costs following the death of an employee who plunged 13 metres through the roof of a Skelmersdale warehouse. A Merseyside roofer has been fined after he allowed lives to be put at risk on the roof of a semi-detached house in Maghull. A Blackburn firm has been fined for allowing work to be carried out on a primary school roof without safety measures in place. A building firm has been sentenced after a bricklayer broke his back when he fell through exposed floor joists at a site in Widnes. A construction firm has been sentenced for safety failings after a roofer was badly injured in a fall from scaffolding at a house in Trafford.